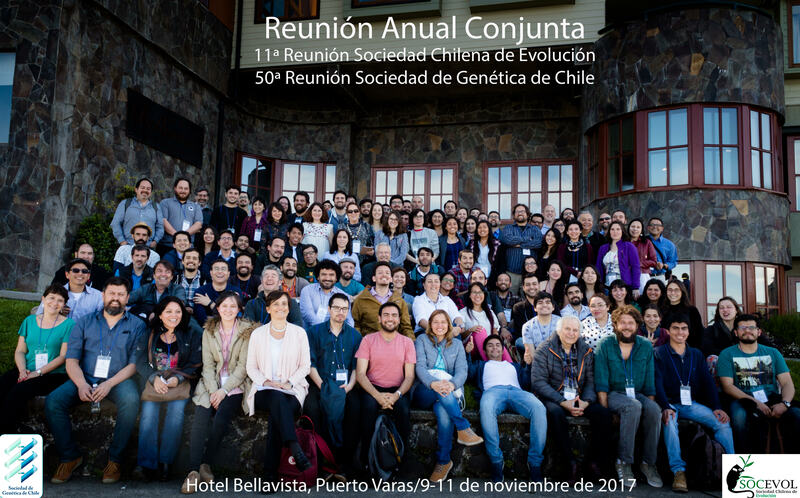 Between the 9-11 November of 2017 was the joint annual meeting of the Chilean society of evolution (SOCEVOL) and Genetics Society of Chile (SOCHIGEN). 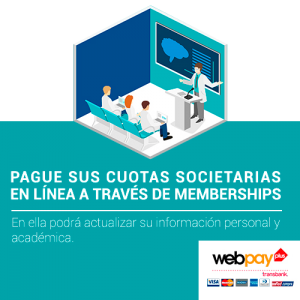 Is carried out in Puerto Varas at Hotel Bellavista, having a total of 150 attendees. The meeting was Conference of researchers like Trudy F.C. 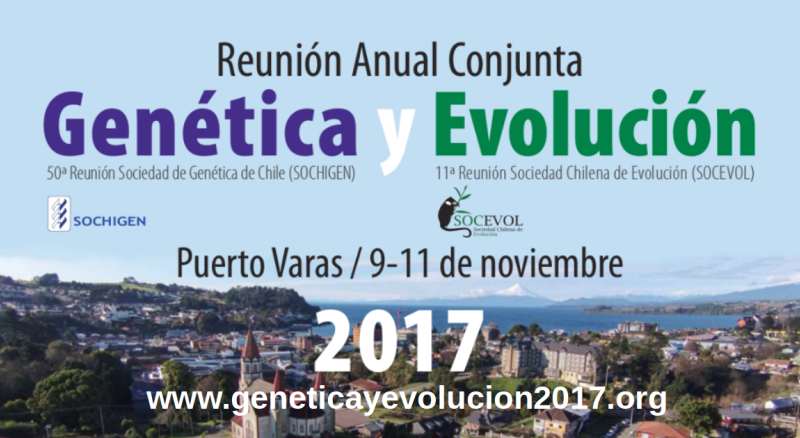 MacKay, Pablo Orozco-terWengel and Angel Spotorno day; Keith Crandall, Robert Anholt, Marcos Perez-Losada and David Gorkin second day; and Juan Alberto Lecaros, Max Muenke and Victorian Pedro the last day, who was awarded for his career in the Chilean society of evolution.